Baeten, J.C.M, Luttik, S.P, Muller, T, & van Tilburg, P.J.A. (2015). 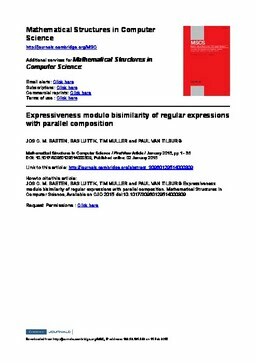 Expressiveness modulo bisimilarity of regular expressions with parallel composition. Mathematical Structures in Computer Science, Firstview.